100 Feet All Weather Contractor Grade Extension Cord 14 Gauge Extra heavy-duty super flexible all-weather thermoplastic elastomer cord, 100 ft. long. Superior resistance to oily, moisture, ozone, cracking and are standing for abuse, rough handling and wear. Outdoor use, the lighted connector allows to use where the power is on. Tough cord remains flexible up to 221Fahrenheit and down to -58Fahrenheit. 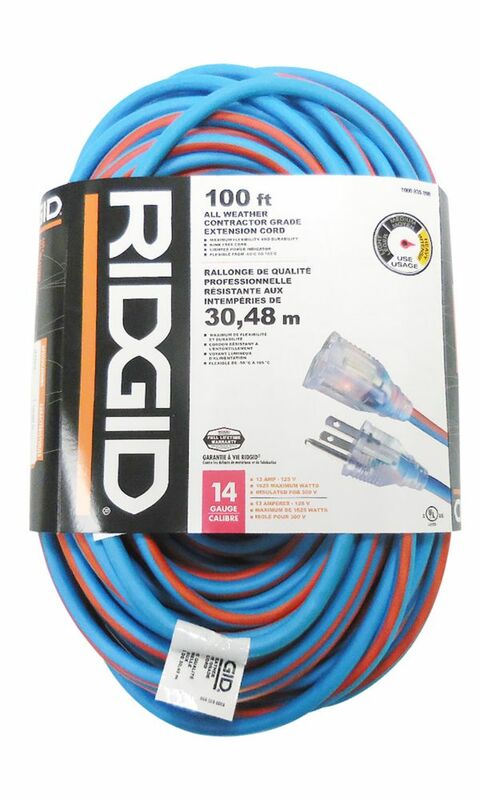 Blue/orange cord.